The Eye Smudger Brush is great for applying color to add definition in the eye socket area, or for a more smoky eye. It works well when adding color to more targeted areas such as along the socket line or even along the lashline. I bought this CT brush to use with her eyeshadows. The natural hair is listed on another site as a mixture of goat and squirrel hair. At first sight I thought the brush hair would be a bit scratchy, but that isn't the case. It's soft. No irritation on my eyes or lower lash line. I've used it exactly how CT uses it on her tutorials and the brush does what its supposed to. I really like the handle, but thought the ferrule was a bit bulky at the top for the amount of brush hair. No shedding and I've used the brush for 3 weeks now. I slowly built a collection of nice brushes but still found myself frustrated and fixing overdone eyeshadow applications, especially in my crease & the outer portions of my eye. I finally decided to take a shot and buy this brush. I think I waited because the pictures representing the brush just didn't portray the actual dimensions of the brush properly. It looked too small & narrow for it to be a necessity, if that makes sense. Even in CT's tutorials it looked to have such a tiny head, I thought I already had a few brushes similar to this. Boy was I wrong. It is quite narrow but the head of the brush is very full making it PERFECT for the crease. And because the bristles are so short my problem with the outer eye mess has been eliminated. No more needing to use my finger or a sponge applicator in the crease! This is 1 of my favorite brushes! I use it everyday! Works for applying and smudging shadow out of crease to create "v" and very easy to use to pull shadow down to lower lash line and blend out to corners. Does not like my eye or scratch like many do. It's not as soft as the Goss brushes but I feel you need one with enough texture and firmness to blow out the shadow. This does that without racking over your skin. Handle is nice I would recommend ! 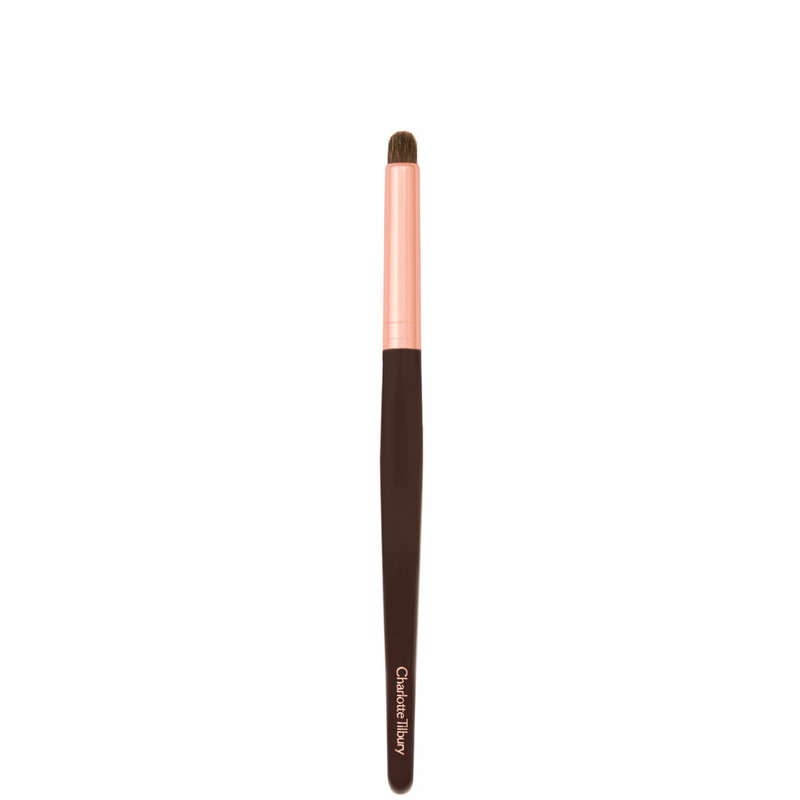 This is a great eyeshadow brush and I can easily use it to have the eyeshadow to my eyelids. It is so perfect for doing the color along the eyelashes, I love it and I will get more of it .